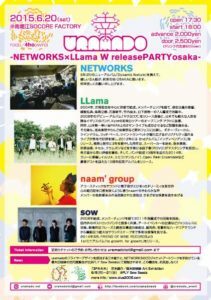 Act:【LIVE】 NETWORKS(fromTOKYO) LLama(from KYOTO) naam’s group ……and more! We are three close men loving music and all world.And we play the keyboards,the guitar and the drums. 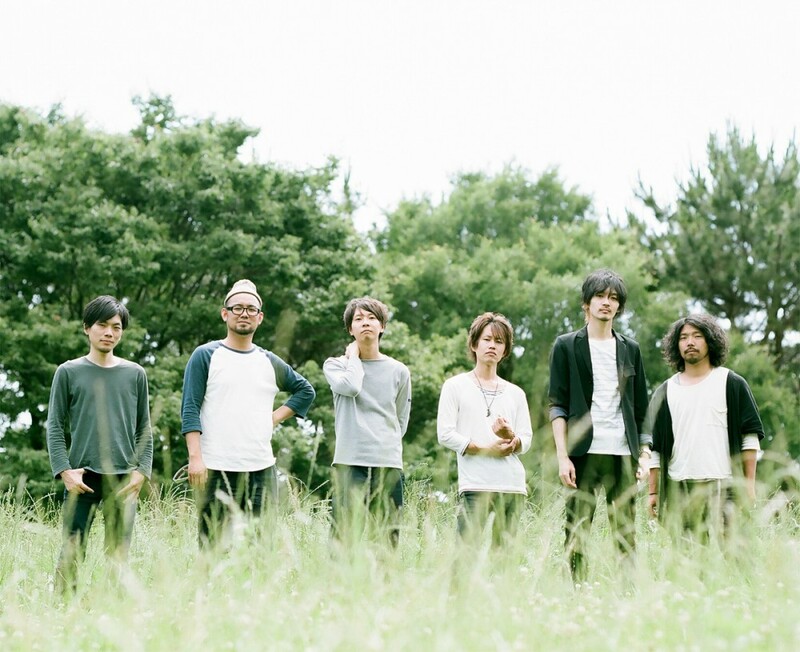 LLama was formed in Kyoto in 2004 with Satoshi Yoshioka (guitar and vocals) as its main architect. 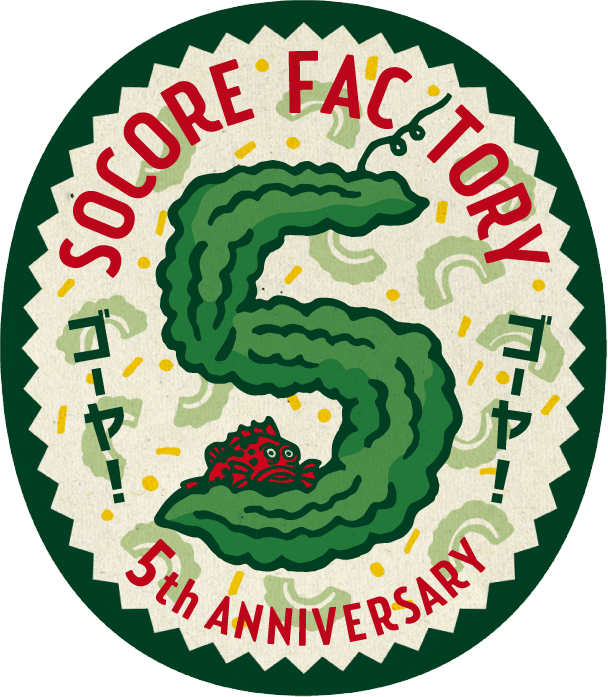 The group went through a number of reshuffles in the past and the current line-up comprises seven members, including Totoku Fujii (contrabass), Hironori Ochi (sound engineer), Ricky Senno (drums), Shinpei Ishiwata (drums), Ryota Takeuchi (trumpet), and Hirokazu Kusakabe (guiter and cornet). 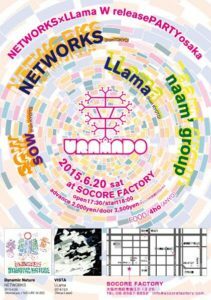 Immediately after the release of the first album YAOYOROZU in 2008, LLama toured with a popular British rock group called Kyte, who still enjoys enormous popularity with Japanese audiences. On their first concert tour in Japan, Kyte chose LLama for the opening act of the shows. 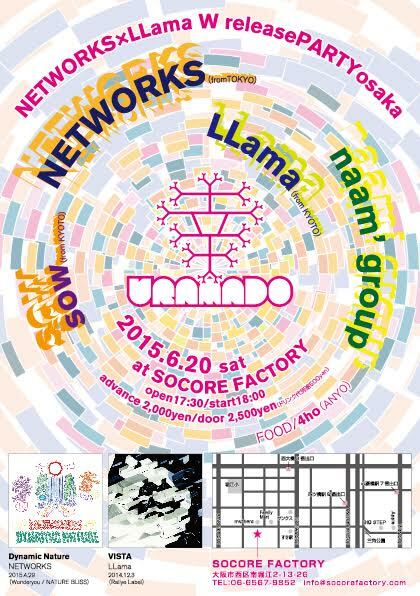 In the same year LLama gave concerts with PARA featuring its leader Seiichi Yamamoto. The joint concerts turned out to be a huge success and the band attracted increasing public attention. Subsequently, the Kyoto-based group has appeared in such well-known music festivals as Nagisa Music Festival, Ringo Music Festival, etc. 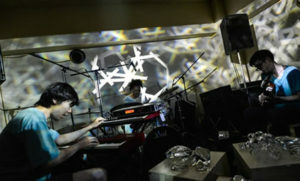 LLama’s live performance was very well received on those occasions because of its unique style and striking originality. The band’s second album INDEPENDENCE was released on the fourth of July, 2012. The album was completed after taking three years of careful planning and production, involving an expert, Tatsuki Masuko (ROVO) in making a master copy of the recording. 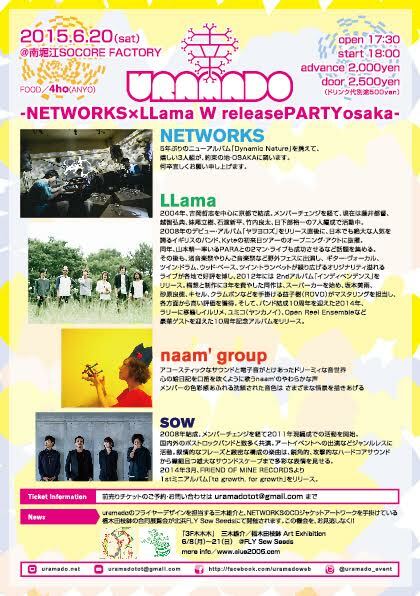 Like YAOYOROZU, LLama’s second album was also enthusiastically received and it has added to the band’s well-deserved reputation. This year marks LLama’s 10th anniversary and to celebrate its 10-year career in the music business, the band came up with their third album VISTA to be released by Rallye Label on December 3, 2014 (Incidentally, LLama moved to Rallye Label from this year). 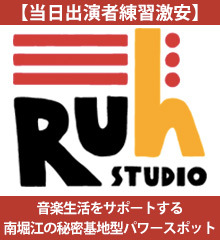 The production of the latest album was joined by splendid guest musicians like Irurime, Yumiko (Yankanoi) , and Open Reel Ensemble.